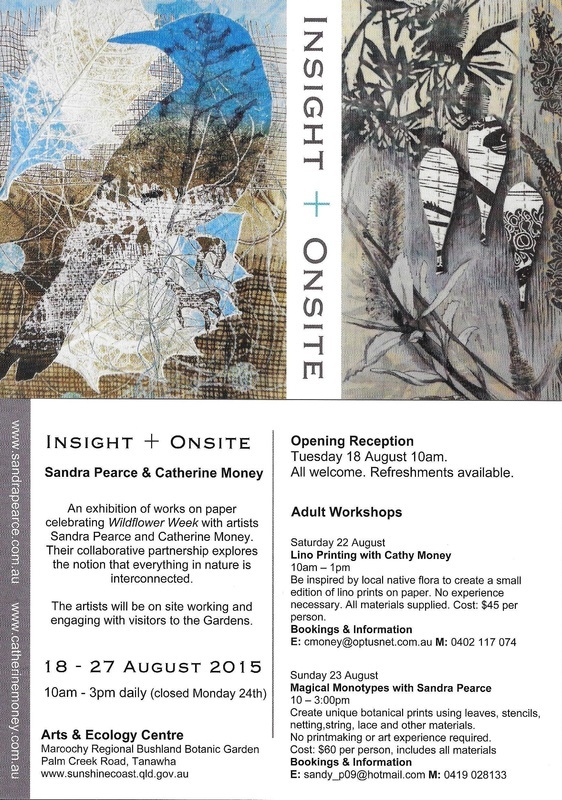 A mini-exhibition of new works continuing on Catherine and Sandra's collaborative theme of the interconnection of nature focusing on banksia, birds and bees is on at Coastal Artisans at Peregian Beach. Coastal Artisans is a gorgeous gallery store full of coastal themed wares. Opening Hours - Tuesday to Sunday 10am to 4pm. Location - Oasis Laneway off Peregian Square, 12 Grebe Street Peregian Beach. 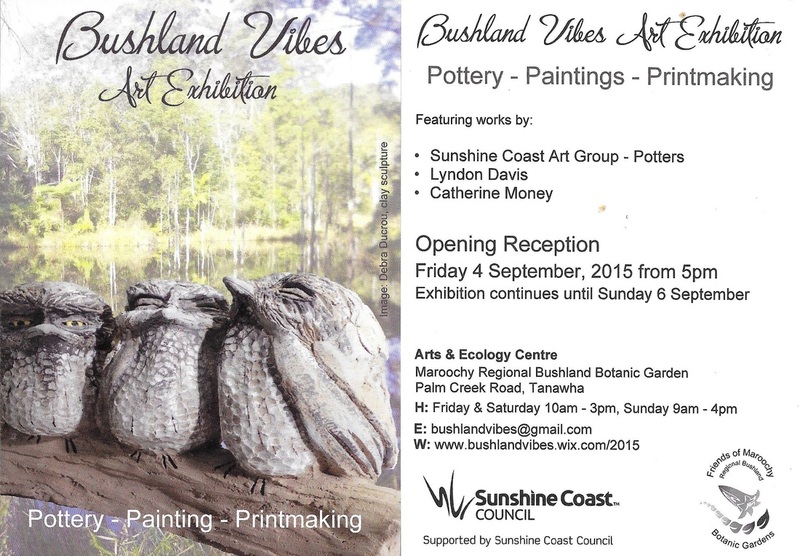 Sandra Pearce and Catherine Money are collaborating to celebrate birds and banksia as part of the Sunshine Coast Wildflower Festival. Their collaborative partnership explores the notion that everything in nature is interconnected. The artists will be on site working and engaging with visitors to the Garden. Some printmaking workshops will be conducted in conjunction with the exhibition. Official opening - Tuesday 18 August, 10am.